The cup action continues for Shire this weekend when attention turns to the Scottish Cup and a long trip north to face Highland League side Huntly. 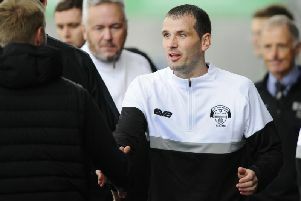 It’s only three years since the club went there as members of the SPFL only to be sent home on the wrong end of a 2-1 defeat, and Derek Ure knows that things will not be any easier this time round. 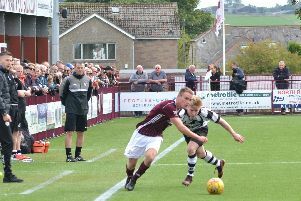 “Huntly are similar to us in some ways in that their results have been a bit of a mixed bag so far and they have recently changed their manager,” he said. Liam Allison, Chris McKee and Moses Olanrewaju are injured. There will be late checks on Kris Faulds and Paul McCafferty.